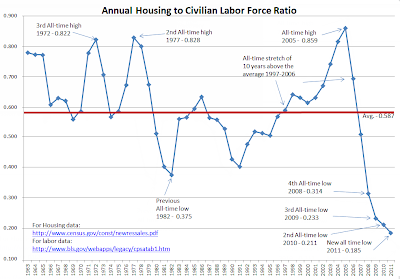 Here is an interesting set of charts on labor pool statistics and housing courtesy of my friend Tim Wallace. 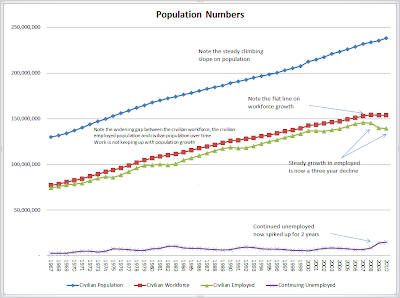 First consider a chart of various civilian population numbers. 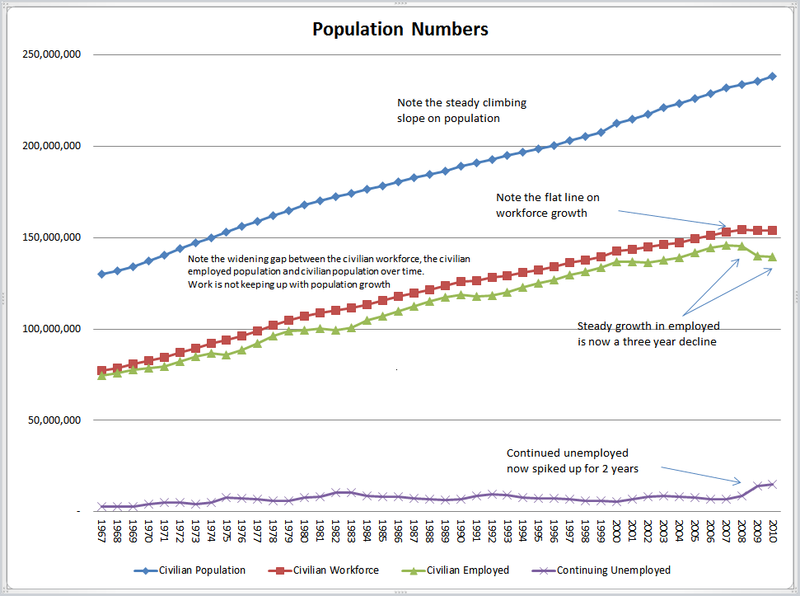 The civilian population is steadily rising. 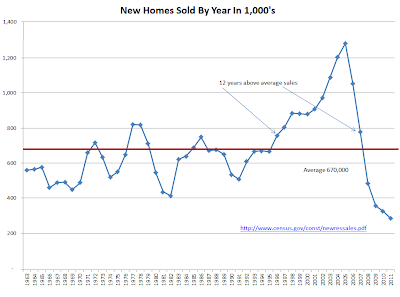 However, none of that increase in recent years is looking to buy a home. Those struggling to understand why home sales are so bad and why they are unlikely to improve much soon, need only consider the previous set of bullet points. The numerator in the above chart is the government-reported number of new homes sales annualized from the monthly report. I track it all year long. I then chart new home sales against the jobs report number for current people in the labor force. I use the annual data for the preceding years and the current month data for the current year. I use not seasonally adjusted data because I am always looking year on year. 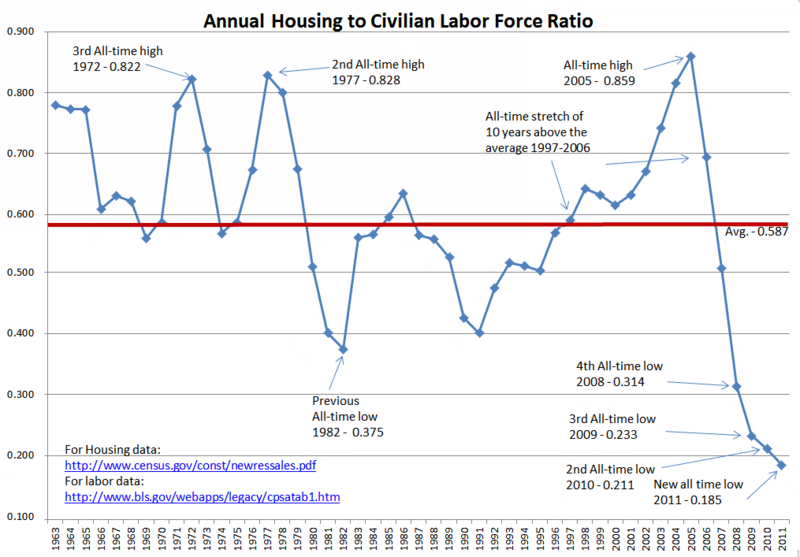 I believe the labor force is the pool for new homes, and as there is no growth. In fact, there is shrinkage. 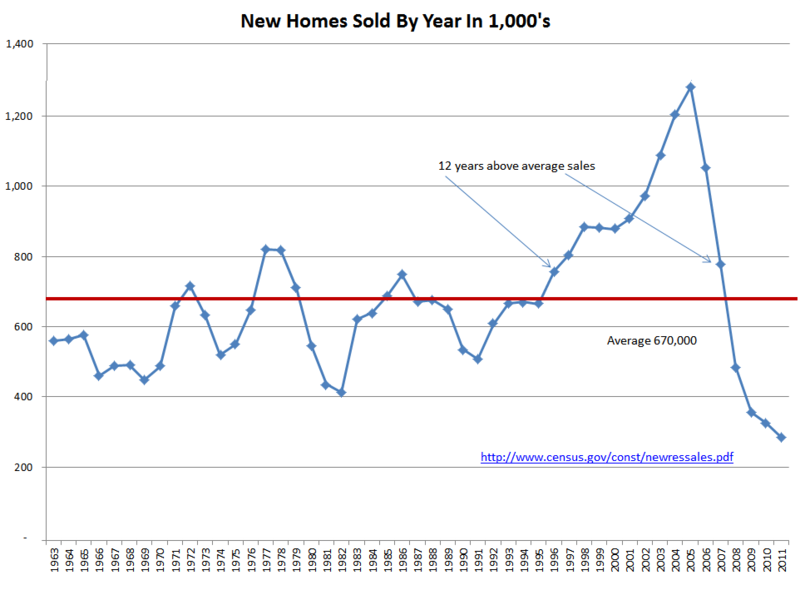 I also see new homes as a way of increasing labor demand. As there are few new homes being produced I do not see an increase coming in the labor market. Thus, the two negatives feed each other. People do not realize how much of our economy depends on the housing market. Think of 1,000,000 homes sold in the mid '00's at an average of $290,000 each and you have $290,000,000,000 in GDP. Today we are down to $200,000 homes and 284,000 of them. That is $56,800,000,000 in GDP, a decrease of $233,200,000,000 plus whatever multiplier, if any, you want to assign to that.